Your underwear drawer probably seems like a safe and familiar place—that is until it comes time to figure out which pair is the right pair to wear underneath your outfit. While we could go on and on about the different underwear styles to wear with every article of clothing, we decided to start with the basics and walk you through the best underwear to wear with all of your jeans. After a recent private fitting I had at the Journelle store here in New York, I knew that if anyone were to steer me in the right direction on this topic, it would be them. Trust me when I say their knowledge on all things lingerie is next level. Ahead, read up on everything the marketing team at Journelle had to say about the best underwear to wear with every denim style. From high-rise to skinny, wide-leg to baggy, after you read the expert advice ahead, the heavy hitters in your denim drawer will have the perfect underwear counterpart for years to come. 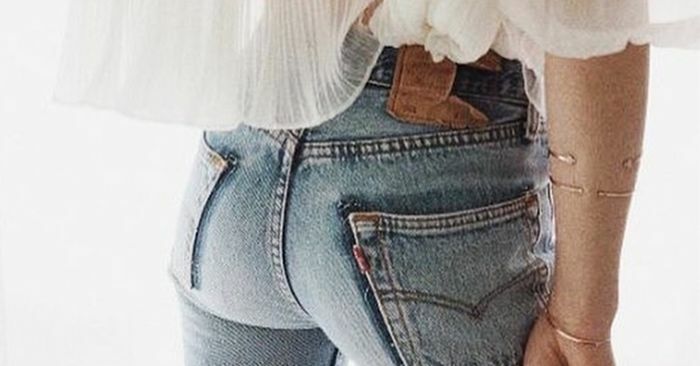 Go on to read about and shop the best underwear styles to wear with every denim style, according to an expert at Journelle.